The Full Moon on Saturday 23 January 2016 is at 3 degrees Leo, in Leo decan 1. The full moon astrology carries on the abusive theme found in the previous new moon. Both moon phases plus Mercury retrograde and Mercury direct, all activate the chaotic Uranus Pluto square. The major theme of all this January 2016 astrology, and the January 2016 full moon in particular, is one of psychological abuse. This full moon is, however, the only one that offers a definite way out of a crisis through decisive action. Like all full moons, the major planetary aspect is Sun opposite Moon. Along with the conjunction, this is the most important of all aspects in astrology. A full moon focuses our attention on relationships of all kind. A full moon itself has a relationship to the previous new moon. Projects you started since the January 9 new moon can now be fine-tuned or completed, it is harvest time. As the lunar qualities of emotions and instincts reach their peak at a full moon, you can take an objective and balanced look at your personal relationships. Being in touch with your own needs and intentions, and those of others, you can clearly see any relationships imbalances causing disharmony. The influence of a full moon last for two weeks up to the next new moon, in this case the February 8 new moon. Uranus square Pluto had begun to ease off earlier this year, with the orb of aspect reaching nearly 7 degrees. However, due to retrograde motion, it has been tightening in recent months and strengthens to 1 degree on 2 February 2016. Powerful forces over the last five years have been driving dramatic upheaval, revolution and crises. All the critical astrology in January 2016 directly links into this chaos via conjunctions to Pluto. The Sun was conjunct Pluto for Mercury retrograde on January 5 and the new moon on January 9. Sun conjunct Pluto causes extreme power struggles, egomania, bullying and abuse. Mercury is conjunct Pluto for this full moon on January 23 and Mercury direct on January 25. Mercury conjunct Pluto takes the power struggles and abuse to the mental and verbal levels. Both the aspects mentioned above square Uranus cause extreme uncertainty and anxiety. Erratic and dangerous behavior and reactions are to be expected. Full moon January 2016 brings this together as emotional and psychic abuse. The four-week moon phase from January 9 to February 8 is a period of psychological abuse. The full moon at 03 ♌ 29 makes no major aspects to the planets and does not align with any fixed star. This leaves the fixed star conjunct the Sun as the only direct influence on the January 2016 full moon. Fixed star Giedi at 03 ♒ 59 is a lovely Venus-Mars type star. Known as “The Lucky One”, it gives charity, sacrifice, patience and trust. This star does indicate a crisis however, and we should expect this anyway given the strong Uranus-Pluto theme of this lunar cycle. Importantly, Giedi also gives “faith in a crisis, yet with a decisiveness that will take the action needed”. The Sun conjunct Giedi can result in peculiar events, unexpected losses and gains, but sometimes “great good fortune”. Mercury stations direct less than 48 hours after full moon January 2015, so the charts are very similar. The aspects below will have the same effect for full moon January 2016 as they do for Mercury direct. Mercury conjunct Pluto suits the interrogation, probing and questioning of others and the use of extreme methods. It forces ideas and ideologies to yet greater extremes at both ends of the scale. Enhanced mental powers, including physic powers, will make it easier to control, coerce, deceive and spread propaganda. This aspects represents power struggles at the intellectual level with the use of lies, intimidation, threats and abuse. Mercury square Uranus increases nervous tension because of the unpredictability of the situation. You may receive shocking news or experience something unexpected that forces you to change plans. The normal tempo of life increases and you may have an unsettling feeling of always having to catch up. There is an increased risk of errors in communication that lead to unexpected consequences. Accidents when travelling or the breakdown of electronic appliances and computers are possible. Mars trine Neptune is a good sounding aspect that in this situation, can be misused or exacerbate the chaotic nature of Mercury-Pluto square Uranus. This aspect introduces the religious and spiritual side to the battle of ideas, linking it to aggression and war. Now the motivational speakers will have a charismatic charm to more easily motivate people based on religious beliefs. Although this is not an aggressive energy, it brings a strong spiritual courage and a fighting spirit to defend a cause. This will be especially effective for the underdogs in the battle, who feel they are being persecuted and victimized. Saturn trine Uranus in the longer term, will bring order out of the chaos which resulted from Uranus square Pluto. But a lot of water has to flow under the bridge until this aspect reaches its first climax on Christmas day 2016. The great advantage of full moon January 2016 astrology chart compared to January 9 new moon and Mercury retrograde charts is the influence of “The Lucky One”. Remember, Giedi gives “faith in a crisis, yet with a decisiveness that will take the action needed”. Can this emotional abuse be self inflicted to some degree …? Oh yes, especially if you already have indications of self destructive habits in your chart. My My ascendant is 3 degrees Leo, my sun sign is leo &saturen is 8 degrees Leo. Am I right to think i might feel the full hit these 4 weeks? I expect so Coliberi, with relationship dynamics and partners being a major theme because of the Sun on your Descendant. Hello dear Jamie, this full moon will conjunct my AC. What can i expect of this aspect? 🙂 Thank you! Hi Mimi, conjunct Ascendant AND South Node? Either way, partnerships like marriage or best friend relationship dynamics will be more prominent. You will be able to more easily see aspects of yourself through them. Remain aware of this to make the most progress, both good and bad aspects of yourself. I forgot to say, that it conjunct my south node. Good for Gemini. Indifferent for Pisces. Will catch up with comments on Wednesday. Got behind writing the February horoscopes and the kids go back to school this week. Chat then! I must say that this horoscope was EXACTLY spot on! All the themes you have explained in this article, Jamie, was so true it gave me chills. Yesterday (January 25 2016) I was laid off from work by a VERY angry and power-hungry boss. He was rude, mean and everything in between, and I must say that the whole thing reeked of power abuse and persuasion from others. “Someone” had told him stories of me and how I behaved and talked about management, and he didn’t even bother asking about my version. So instead he believed his “subjects” over me, taking their words over mine. I don’t think I could have avoided it, but faith through crisis and decisive action was definitely present here. I have faith in – for once – that what happened was actually a good thing because the place had made me sick, with back aches, anxiety and last but not least – draining my energy levels to the max I think. Our values simply didn’t click, and what the heart is full of, comes out of the mouth, one way or the other. So – me being fired was actually a blessing I think. Pluto and Uranus and these aspects actually did me a favor. Wow Abangsfelt, I’m glad you have come out of this with such a positive attitude, good for you. Was Mercury retrograde involved in your chart? Yes, it was conjucting natal Dark Moon Lilith and transitting Pluto in the 12th house. As it turned out I have now been sleeping much better but also realized I was deeply terrified of him, he was immensely unstable regarding his emotions, and his wife (=my manager) was probably involved in this also, so I suspect that these could indicate some expressions of fof Lilith-pluto aspect here, since her sun fell in my 4th house/close to MC…? She was gemini/cancer ruled, and my 4th house/IC is in Gemini. I think my boss was actually a Saggitarius and my MC is (obviously) in Saggitarius. More likely then that you have been the victim of a conspiracy involving the wife. Jealousy? Most definitely sounds like Lilith working in the background, she can make men do things they don’t even know they are doing. I don’t think Jelousy, but something regarding power (Pluto) and the femine + me not seeing it coming if Neptune was squaring off with my MC maybe. I could have given off the vibe of (feminine) power because pluto +12th house is unseen/unconsciouss and thus I could not see it myself but acted on instinct. I had a similar situation to Anette, although I resigned my position effective immediately. I worked for an airline who’s management team were very bullish and deceptive type of individuals. Anyway, I had been with them for a year up until last week during the full moon. I had been having scheduling problems with my female supervision who I believe was having something personal going on with the station manager. Both of my elderly parents are sick and I am the only person in my family to care for them. The position was supposed to be part time but they force you to work full time hours which I have communicated for many months that I was unable to do based on my family situation. It came to a head the 24th of January with the full moon in Leo in my 10 th house opposing my Pisces moon in 4 th with mercury retrograde. I like Annette feel so relieved it is finally over. So tired of the abuse both mental and physical based on overworked schedules. They were the most horrible people I have ever worked for. I know it truly was my gain and their loss. Smile…. can I say that I’m happy on your behalf? No one should be treated this way, like they did to you, but all too often this happens when you find a place where there are a lot of lessons to be learned. We always get to know ourselves a little bit better each time someone treats us either good or bad, and if you belive in karma, it’s a lesson for them as well. In both our cases it seems that we were being played by power – but when we said NO (internally or externally) we took a choice for purselves and decided not to feel afraid or bullied anymore. Leo is about courage – and my Leo falls in 7th house, which is about partnerships – but also the opposite – Makes you think, huh? Yes, Thankyou Anette. I have Pluto conjunt Uranus inmy 10 th house natally so it seems There are many karmic lessons for me to experience through my career. My Pisces moon in my 4 th house makes me a very sensitive person in general. I do not know if it is me who manifest these issues or others. My Sun in Gemini at the end of my 7 th house will always involve relationship issues no matter what. I have several planets on the angles so I have always been growing my soul, if you will. Sometimes, I just get tired of the struggle though….it is now time to start over, so I am hoping that I can truly find the right place for me where power struggles do not manifest. Thank you for you response. It helps to release it. 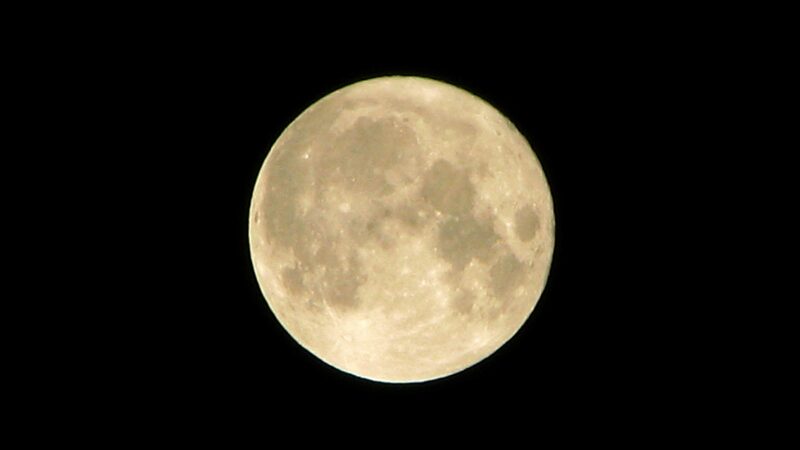 This full moon certainly brought things to a head in my life, in a rather shocking way. After several weeks of extreme pressure writing PhD proposals, teaching English classes, and battling the flu, I was hit by two of the worst asthma attacks of my life on the night after the full moon, and then a day later as Mercury stationed direct. I’m a sun sign Leo (1 degree), with a Gemini ascendant (natal Chiron conjunct the ascendant) and Cancer moon at 15 degrees. Pluto’s been opposing my Moon for some time now, and I also have my Saturn return coming up later this month. I’ve been working through some of the Pluto issues in therapy, and through my poetry, but as soon Mercury made that contact to Pluto in my 8th house my body finally gave out after a considerable build up of pressure and stress. I had actually been discharged after the first asthma attack, despite not feeling well enough, but I trusted my doctor. The second, considerably more severe attack, occurred while Mercury direct stationed on Pluto, and made the square with Uranus. Interesting that Mercury rules the lungs, and will directly impact my body with the Gemini ascendant. By the time we made it back to the hospital, I basically wasn’t breathing at all, and was on the verge of passing out. I had to be wheeled into emergencies, and pumped with steroids and oxygen. I was under observation for the next 24 hours and slowly stabilized. My new doctor was surprised that the other doctor had let me go when my breathing was still so ragged (classic direct station mix up? ), and she was much more careful about making sure I could breathe without the aid of oxygen for several hours before discharging me. Amazing, but not surprising given Mercury stationing on Pluto for so long this week or so. It will help you to research your fixed star conjunction as they relate to specific health issues and areas of the body. For example, you are fortunate that you Moon is on a very strong and powerful star, either Sirius or Canopus, ruling either side of the breast in the human body, thus affecting the lungs. Thanks for the reply. I knew that Sirius was close to my 14’57 Cancer Moon, but I didn’t realize how tightly conjunct my moon is to Canopus. My life has certainly been marked by far-flung travels. I’m a poet from Canada, now based in Barcelona. In the past 7 years I’ve lived in the Czech Republic, China, England and Spain. Now I’m trying to pursue a career in academia in England… My first book of poetry, which is to be published next year, centers on my experiences living abroad. Now I’m feeling incredible pressure to find a way to anchor my creative expression in the material world. Sometimes it feels like a journey as daunting and arduous as seeking that golden fleece. I will certainly be mindful in the future about health issues relating to my lungs and breasts. There’s a history of breast cancer in the family, so I’ll be extra vigilant about getting regular tests. What an interesting life. Thanks for sharing Rosina. I’m not familiar with all these astrology terms such as retrograde, square and conjunct, however I can relate to this article. I was with someone for 2 months (all of December, 2015 and January, 2016). I’m Capricorn Rising, Aquarius Sun, Leo Moon, and Aquarius Venus. The guy I was seeing was Scorpio Rising, Scorpio Sun, Scorpio Moon and Libra Mars. I’m a pretty laid back person, however I just couldn’t reason with him. He would constantly need reassurance, he was overly jealous, he was overly sensitive and insecure. We would be fighting almost every time I would see him and it would be over the simplest things. When we did have our arguments, he would try to twist and dilute things so that it would look like I was the problem. He would buy me gifts (Christmas present and my birthday) and would say, I got you all these nice things and you try to nit pick at me. So do the presents make it OK to act or do certain things which are unacceptable? I was dealing with a high school boy instead of a man. The past weekend, I went to a club with all of my close friends and him to celebrate my birthday and during the whole time, he was doing his own thing, talking to randoms instead of being by my side. On NYE we made it official that we were in an exclusive relationship, so I expect him to be by my side on my birthday, cause that’s what boyfriends do. By the end of the night, he got really disrespectful and I just left him there. I found out some things that night, which my close friend told me about, that he was texting girls back and forth and having full conversations with them, while we were together (because he showed her his phone). Yet, he was the one that always thought I was seeing other people, which wasn’t true. After my friend told me about this, I ended things right away this week, mostly because of my birthday and just everything else adding up during the relationship. He was a very toxic person playing mind games and I just couldn’t deal with him anymore. Glad my writing was not too technical for you, nice to hear from you. When is the emotional abuse going to be over? Hi Katie, the effects of any full moon lasts for roughly 14 days. It should end by the February 8 new moon. What about all these tense Uranus, Mercury and Pluto aspects, will the energies die down by the new moon? A bit Katie but there are still a large number of planets involved in that crazy aspect pattern. It’s like a months worth of aspects in in the first week of February.